Why do I need to wear a night splint if I have heel pain? If you have heel pain, you may be diagnosed with plantar fasciitis. Plantar fasciitis is the inflammation of the band of tissue that runs from the bottom of your heel, across the arch, and inserts in the ball of your foot. When resting, such as at night, the plantar fascia contracts as your Achilles tendon, or heel chord, also contracts and your foot relaxes. Over a period of several hours, such as when you are asleep, the fascia continues to contract. Then in the morning when you place yoru feet on the ground and the arch flattens out, this pulls on the fascia where it inserts into the heel bone, thus you feel pain. When you wear a night splint, it allows to passively stretch both the plantar fascia and the Achilles tendon over several hours. 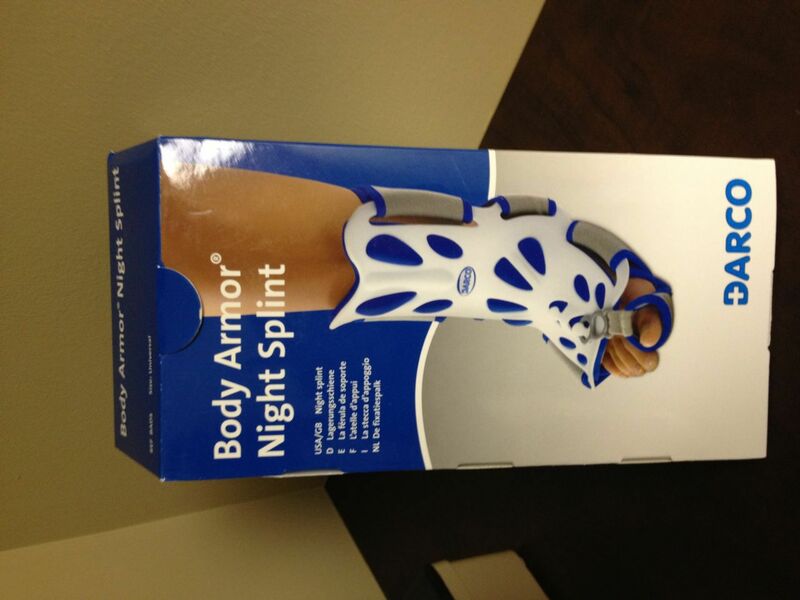 So when you wake up in the morning and remove the nght splint, your tendons and fascia are already stretched out. Therefore when you step down on the ground first thing in the morning, you don't feel that pulling pain in the bottom of the heel. If you have heel pain or foot pain of any sort, call our office to make an appointment with one of our doctors. You should not have to live with foot pain, and we can help you get some relief!